Dispatched to Leeds, Alex's first assignment is to help assess the costs of renovating a 1950s Cold War bunker into The Laundry's new headquarters. Unfortunately Leeds is Alex's hometown, and the thought of breaking the news to his parents that he's left banking for civil service, while hiding his undead condition, is causing more anxiety than learning how to live as a vampire secret agent preparing to confront multiple apocalypses. 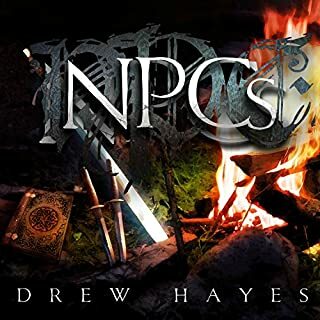 Alex's only saving grace is Cassie Brewer, a drama student appearing in the local Goth Festival who is inexplicably attracted to him despite his awkward personality and massive amounts of sunblock. If you could sum up The Nightmare Stacks in three words, what would they be? Action-packed, hilarious, and just plain fun. 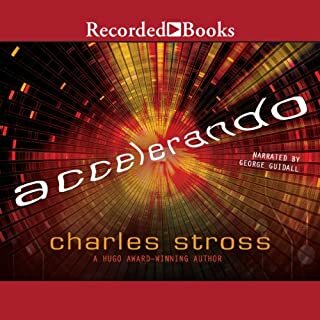 After the (not unenjoyable, just different) detour that was The Annihilation Score, Stross has come back to what makes this series so enjoyable. Alex really comes into his own in this novel after the introduction he had in The Rhesus Chart, and though you might think coming into this that you will be lamenting Bob's absence in this and the previous book, that is not the case at all. What other book might you compare The Nightmare Stacks to and why? This is a tough question, as I know there are several candidates floating around my head, I just can't put a name to them right now save for books I've read recently. Certain books of the Dresden series come to mind, because of how the endgame of the novel plays out. In that regard this book is also similar to the first entry in Stephen Moss' Fear saga. Have you listened to any of Gideon Emery’s other performances before? How does this one compare? Emery has narrated most of the books in the series, with the exception of The Annihilation Score which has Mo as the viewpoint character. He's back to do Alex, and does an outstanding job. Like there was ever any doubt. 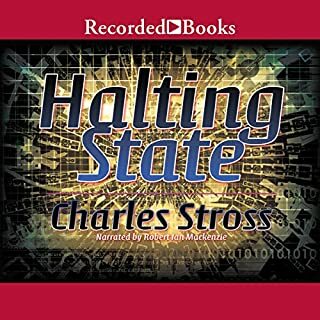 Stross has a penchant for expertly blending geek humour and sardonic irony with this series, and that's back in full force as Alex is basically a younger version of Bob in this novel (and the inherent stereotypes of his character are exploited mercilessly with hilarious results on more than one occasion). I should also mention that, as with the previous entry, the CASE NIGHTMARE scenario takes center stage (with a twist) which Stross unravels marvelously. I hesitate to call this a return to form, as there was nothing really wrong with the previous novel, it just wasn't what I was expecting. For all intents and purposes, this book mirrors the earlier entries in the series, and is a joy to experience. I have to admit from the git-go that The Laundry Files series by Mr Stross is one of my top 5 series I have been following the past 5 yrs. I relisten to various books in the series often and am always amused at the absurdness of the bureaucracy that our intrepid hero, Bob Howard, has to deal with. In short, I am a big fan of Bob. Having said that, Bob is barely even mentioned in The Nightmare Stacks, the 7th novel of the series so I was inclined to dislike The Nightmare Stacks before I had downloaded it. But the series is so unique and the author so skilled at his craft that I still pre-ordered it. 2. No Bob at all. He was mentioned in the second half of the book to be in Japan. That’s it. 4. No “superpowered” players. As introduced in book 6, “superpowered” are now in the public eye. However, in this situation, not even one makes an appearance. These criticisms are from a huge fan of the series. If you have read/listened to the series and are not an avid fan of the Laundry, then the above points may not be an issue for you. Gideon Emery’s performance as narrator was stellar as always. If you need a British narrator/performer of your projected-to-be NYTimes bestseller, Mr Emery is your man: distinct male/female voices, nuanced performances portraying emotion and feelings combined with a master’s sense of timing and cadence, and skill at delivering that unique British sense of humor that I, as an American, will always love but never quite understand. 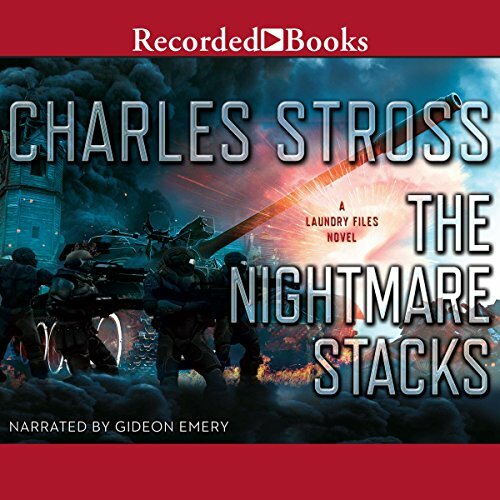 If you are a fan of the Laundry Files, you will enjoy The Nightmare Stacks. Action and tension are the hallmarks of this latest installment and it further advances the Case Nightmare plotline dramatically. Just don’t be expecting Bob to be making an appearance. This is an excellent addition to the Laundry Files. I was bummed at first that Bob wasn't back in the picture yet, but Stross transformed a character I wasn't too fond of, into a hero. Bravo. Over the Laundry series I have become a big fan of Bob and Mo. They are not in this book. I almost did not buy it. But it turns out that Alex socially inept Phang geek is a compelling character, and pulled, nay pushed, the story along at high speed. Watch for other fun characters to play a big role. This is a fun story with the deeply geeky references throughout. This has Tom Clancy like elements mixed in to things, much like previous books that had Bond elements or other spy/thriller send ups. Good times. 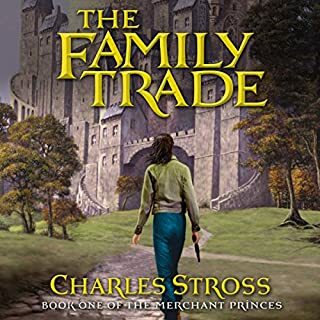 More monsters and mayhem from Charles Stross. The ending was a bit abrupt, so maybe the story will continue in the next volume? Stross books build gradually, but watch out! You'll have to tear yourself away from it try and convince yourself to sleep some each night before you're even halfway through! 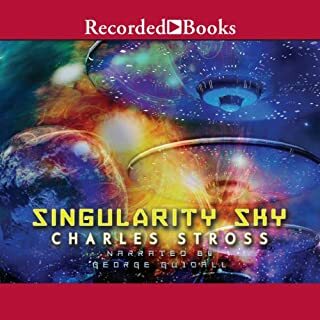 Charles Stross continues to be one of my favourite authors with a great new Laundry Files entry. I had my doubts that the Laundry Files could maintain it's quality and momentum with out the character of Bob Howard (a doubt fed by the just okay previous novel in the series). I was wrong. The sly humor is still there. The grand otherworldly threats still threaten. Entertaining. Wonderfully narrated by Mr. Emery. What did you like best about The Nightmare Stacks? What did you like least? 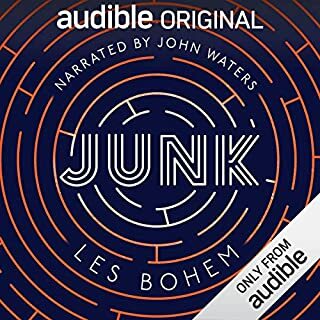 This was a great story - although I couldn`t finish it due to the narrator. I forgave the mispronounciations, I could live with the fact he sounded half asleep... but to make every woman sound like Daffy Duck and every `Northerner` a wannabe Scouser` was insupportable. I`ll return it and buy the book. What was one of the most memorable moments of The Nightmare Stacks? The first half. Before the women played an important part and the fact they all sounded like a mentally stunted platypus dragged it down.